The level crossing at Reynard Street in Coburg will be one of five removed along the Upfield line. 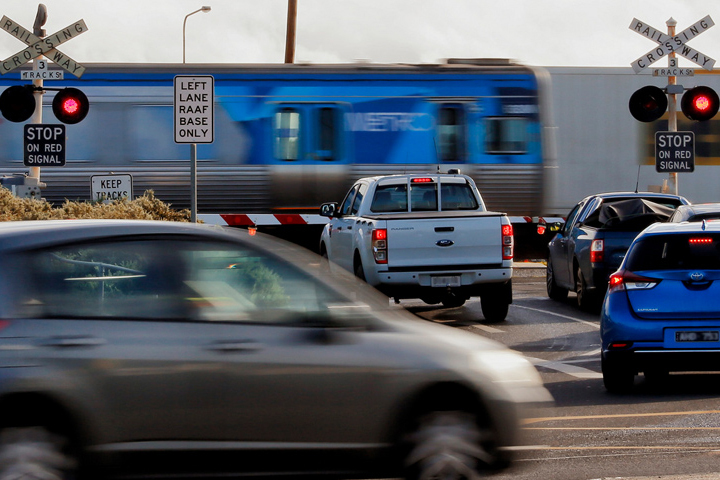 The level crossing at Camp Road in Campbellfield has already been removed, and the crossings at Bell Street andMunro Street in Coburg and Moreland Road in Brunswick are also planned for removal. The boom gates in Coburg can be down for up to 20 per cent of the 7:00am to 9:00am peak, when up to 17 trains run through the crossings. Current network plans involve increasing trains running on the Upfield line, meaning more boom gate downtime. The Reynard Street, Coburg level crossing was identified as a priority site for removal in the Victorian Government’s Site Prioritisation Framework. A further two level crossings will be removed along the Upfield line. Using the Site Prioritisation Framework, crossings at Munro Street and Reynard Street in Coburg have been identified as priority sites for future removal.